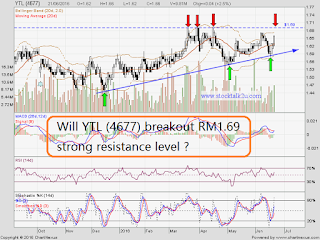 YTL is heading retest RM1.69 strong resistance level. How about this round, will it breakout & go higher? Immediate resistance @ RM1.67 level. 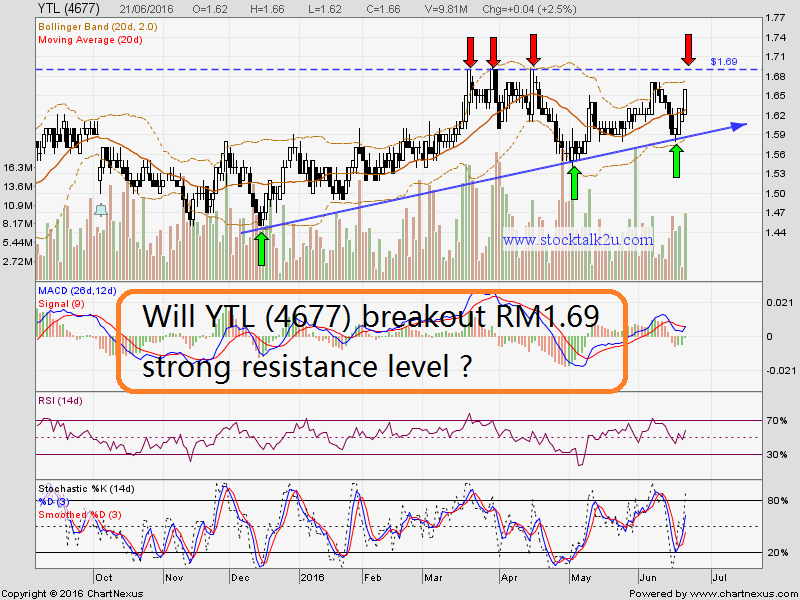 Subsequent resistance @ RM1.69 level. Immediate support @ RM1.58 level. Subsequent support @ RM1.55 level. If able breakout the strong resistance, higher high is formed. Potential kick off another wave of bull run.